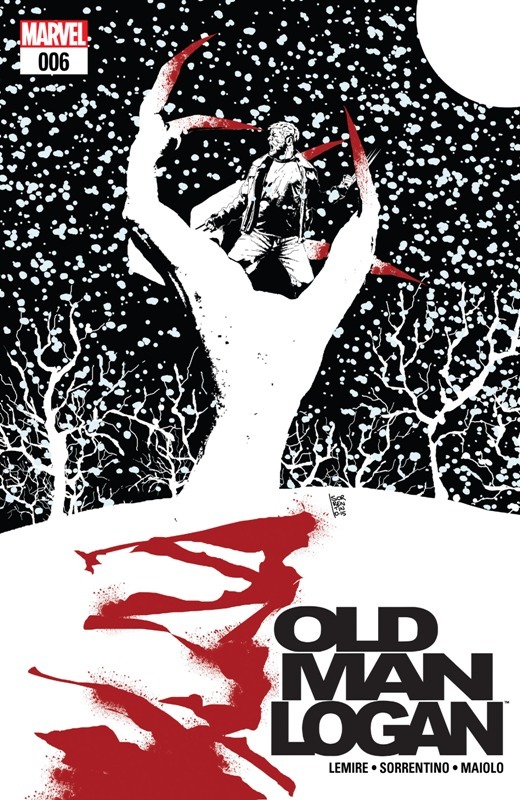 In last week’s Old Man Logan # 6 by Jeff Lemire and Andrea Sorrentino, we head on to Bordertown Part 2. 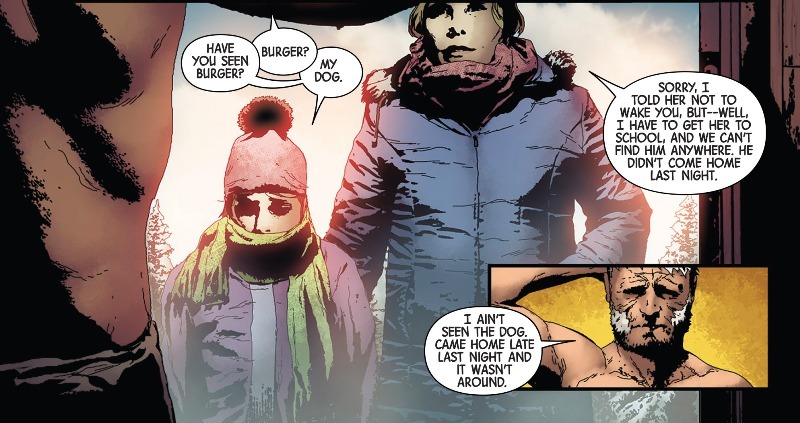 Logan’s future wife Maureen visits Logan to ask help in finding the dog from the last issue named Burger. 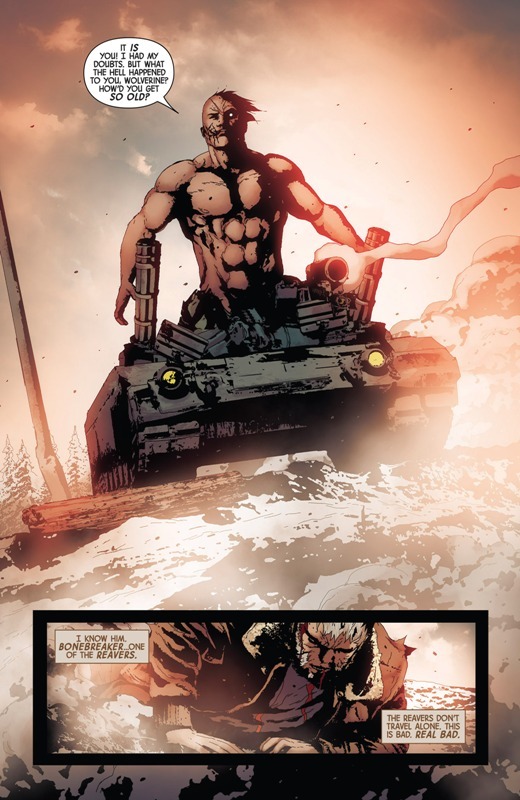 Wolverine tracks down the dog which was murdered by Lady Deathstrike and the Reavers who have come to town to kill Wolverine/ OML. even ran over his legs. 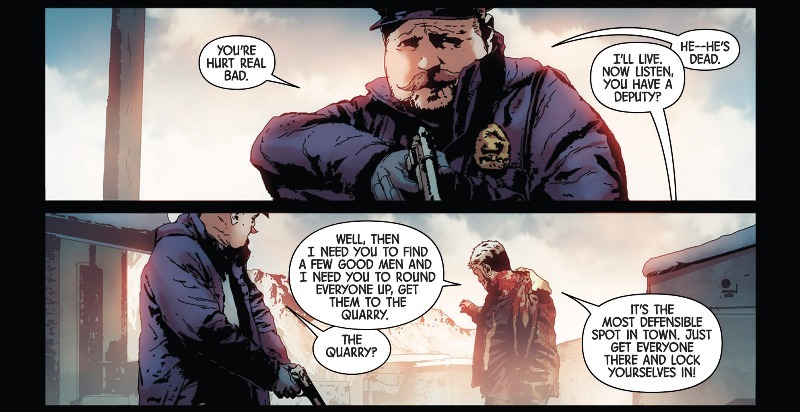 … and orders the town’s sheriff to bring the surviving civilians to the Quarry. When he gets to the quarry, Maureen’s mother informs Logan that her daughter and a bunch of other students are stuck at the basement of the school and the help they sent out never made it to them. 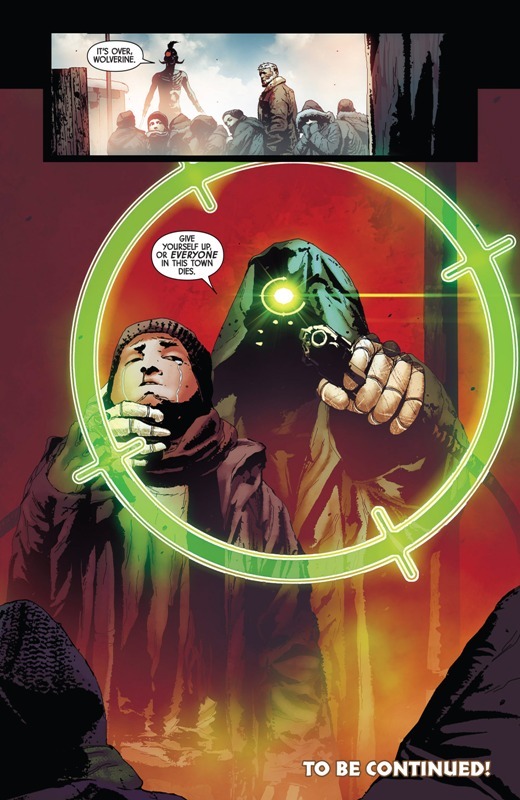 … but before he can do anything to the kids, Logan arrives and kills him too. 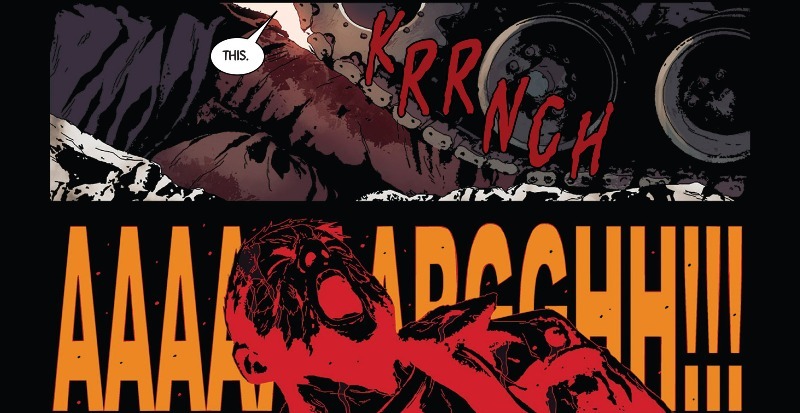 Old Man Logan then gets the extraction on the way, only problem is that Maureen gets nabbed and Logan is cornered. 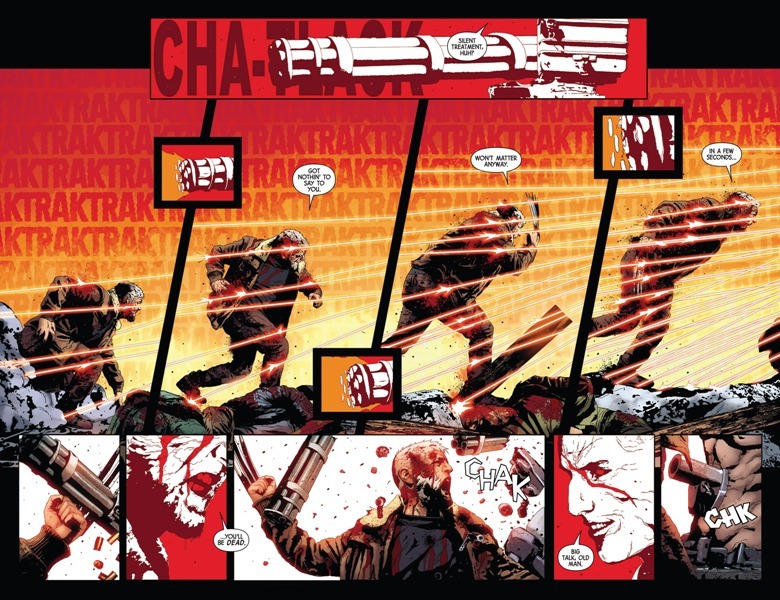 Excellent art by Sorrentino, who knew you could do action panels like that. 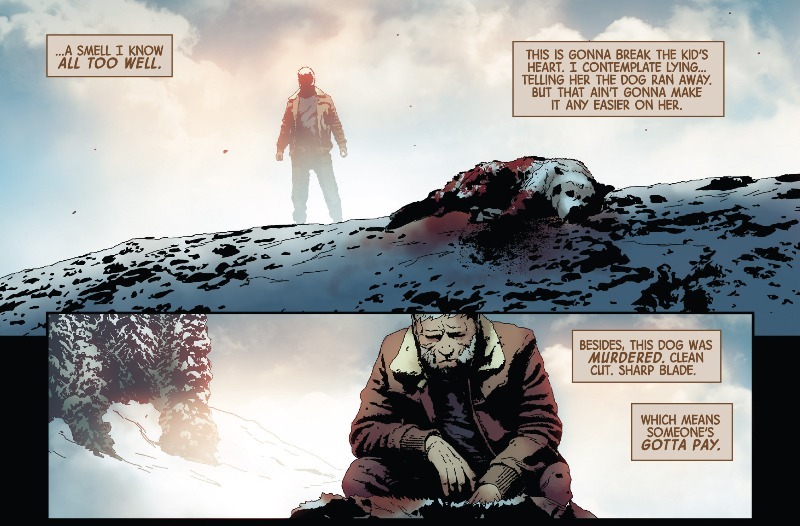 The writing has its moments and it puts Old Man Logan’s decision-making capabilities into question. That poking on “The Best There is at what I” is just hilarious! 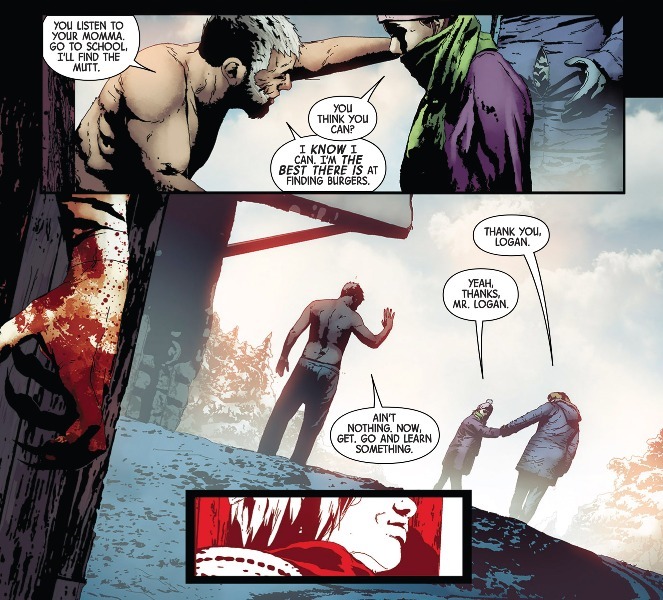 The creepiness of Old Man Logan “protecting” his future wife still lingers. 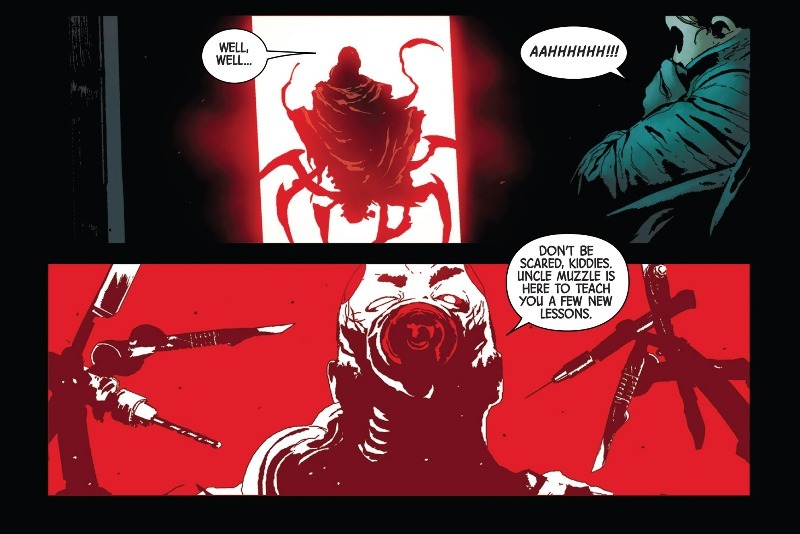 Man the 90s is back in full force with the use of the Reapers. 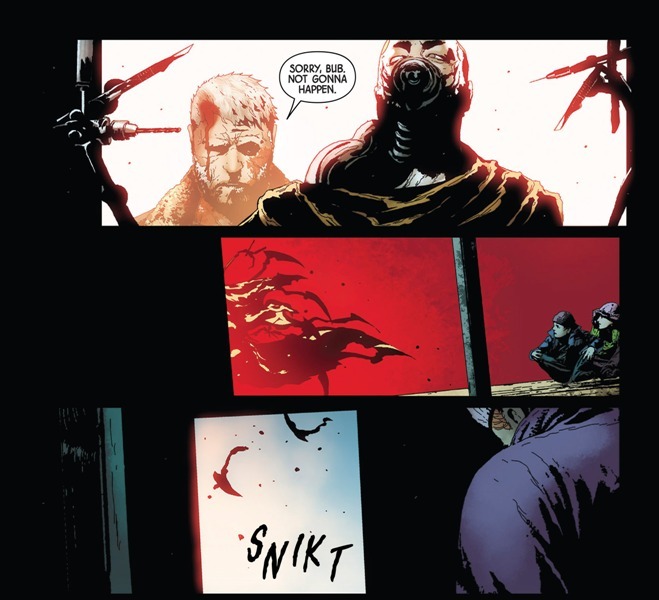 I check Old Man Logan every month for the colors and the panels. 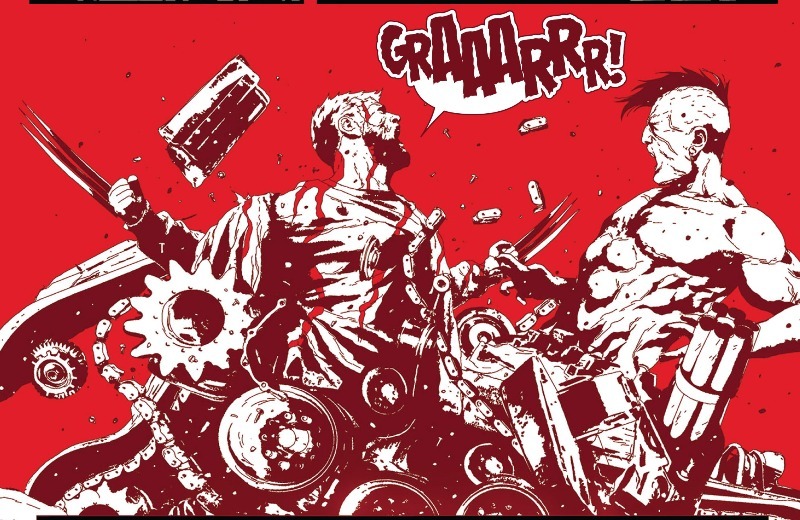 Gotta say I am hooked on that when it comes to this book.